Kim Rattenbury from Kimmy Ralph’s Hair Boutique styled hair for a 4-page feature in Oyster Magazine. Kim Rattenbury from Kimmy Ralph’s Hair Boutique styled gorgeous Australian supermodel Nicole Trunfio when she was in Sydney as a special guest at the Italian Film Festival. 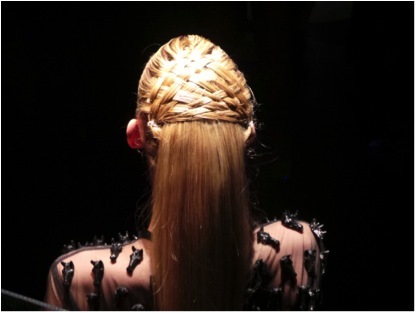 Kim Rattenbury from Kimmy Ralph’s Hair Boutique was the Hair Director for the edgy fashion label Serpent & The Swan at the 2013 MBFWA. He created a modern take on the basket weave look. A complex and daring move, which received rave reviews.